GaryMoller.com - Health, Fitness - Naturally! 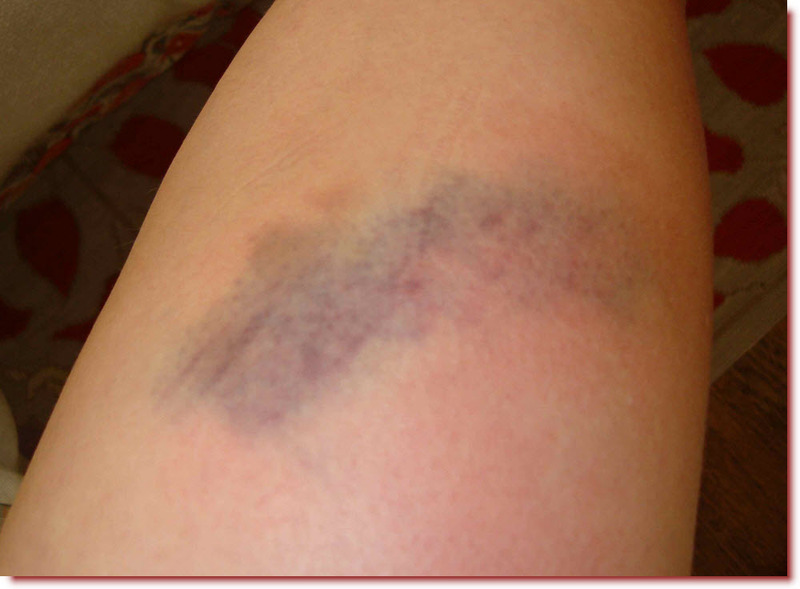 : Why do some women bruise more than others, especially as compared to most men? Why do some women bruise more than others, especially as compared to most men? Have you ever wondered why some women bruise very easily? 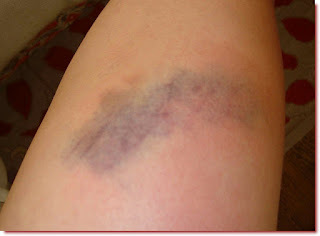 This might be caused by a bump against some furniture that leaves a large purple bruise the next day. Many of the bruises may be from impascts that are so innocuous that they can not be recalled. When questioned, the woman may reply along the lines of "Its just the way I am?" My response is that "It does not need to be this way". Easy bruising is caused by weak collagen. Rather than being bouncy and elastic like quality lycra fabric, the tissue rips like rotten cloth when stretched, compressed or stretched. This is not healthy. Weak collagen means being vulnerable to bruising, muscle, tendon, joint and ligament strains. Weak collagen also means being vulnerable to infections because the weak cell wall is easily penetrated by pathogens. Weak collagen leads to stretch marks which are sub-dermal rips of the skin. Let me explain why women tend to bruise more easily than men. The reason has to do with the two female hormones, oestrogen and progesterone. 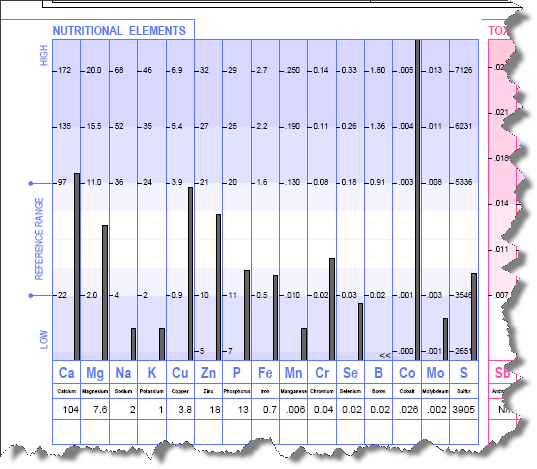 If a woman is oestrogen dominant she will (on the Hair Tissue Mineral Analysis) have soaring levels of copper in the body (copper is the catalyst mineral that the body uses to produce oestrogen). Copper suppresses zinc in the body (zinc is the catalyst for producing progesterone). Symptoms of oestrogen dominance (high copper relative to zinc) include premenstrual syndrome (PMS), painful, heavy periods, polycystic ovarian syndrome (PCOS), endometriosis, under-active thyroid, depression, eating disorders, bruising, tendon and ligament problems, including scoliosis and even thinning bones. A person with high copper relative to zinc will tend to suffer frequent sore throats and all kinds of yeast and fungal infections such as candida. The effect of copper on the balance of the female hormones tricks the ovaries into thinking she is pregnant. This is how copper works when placed inside a "copper IUD". A copper bracelet can be equally effective. Copper and zinc have a number of interesting actions in the body as trace minerals, including regulating the cross-linking of collagen. Collagen gives structure and strength to the body and is found concentrated in hair, skin, nails, tendons and ligaments. If there is an imbalance between copper and zinc, strong cross-linking may not happen, leading to tissues that rip, rather than stretch, or tissues that stretch without returning to their original length and shape. A good analogy is that of a perished rubber band which progressively stretches and cracks, eventually snapping. If a girl has excessive copper during puberty, she may develop excessively elastic ligaments leading to "double-jointedness". This ligament laxity is essential during childbirth but not at other times. Lax ligaments during puberty may lead to a debilitating deformation of the spine, call scoliosis. Calorie restriction during puberty may accentuate copper retention, as can a severe viral infection, the most common being glandular fever. Interestingly, copper is an antagonist of vitamin C and many of the symptoms of copper excess (bruising, bleeding gums, viral infections) are symptoms of scurvy (vitamin C deficiency). 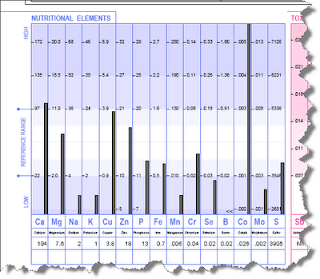 If there is excess copper (This is determined by a Hair Tissue Mineral Analysis which you can arrange through me) this may be corrected by a number of measures, such as taking additional vitamin C, magnesium and zinc along with measures to support liver and thyroid function. Steadily plugging away at balancing nutrient levels within the body over one to two years usually brings about a gradual reduction in symptoms of excess copper, including a reduction of bruising.